Below you fill find all funeral homes and cemeteries in or near Advance. Advance is also known as: Stoddard County / Advance city. Their current mayor is Mayor Carl D. Ritter, Sr..
Zip codes in the city: 63730. Some of the notable people born here have been: (dewayne staats). 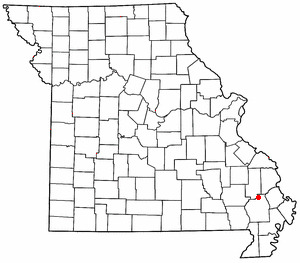 Advance is a city located at the intersection of State Highway 25 and State Highway 91/Route C in northern Stoddard County, Missouri, United States. The population was 1,347 at the 2010 census. Advance was founded circa 1882. It was noted by Centralia Sentinel on December 31st, 2016 that Bertha Amanda Loucks (Adams) passed away in Maryville, Illinois. Ms. Loucks was 90 years old and was born in Advance, MO. Send flowers to express your sympathy and honor Bertha Amanda's life. It was disclosed on March 5th, 2015 that Robert Terry Pearman passed on in Advance, Missouri. Pearman was 50 years old and was born in Cairo, IL. Send flowers to express your sympathy and honor Robert Terry's life. It was disclosed by Hutchinson News on October 16th, 2014 that Nancy "Jill" Foster (Jenkins) perished in Hutchinson, Kansas. Ms. Foster was 67 years old and was born in Advance, MO. Send flowers to share your condolences and honor Nancy "Jill"'s life. It was revealed by Register Guard on April 6th, 2014 that Ruby Pruvis (Helderman) passed on in Eugene, Oregon. Ms. Pruvis was 102 years old and was born in Advance, MO. Send flowers to express your sorrow and honor Ruby's life. It was written by Star Beacon on March 19th, 2013 that Vivian A Rometti (Musgraves) passed on in Kingsville, Ohio. Ms. Rometti was 89 years old and was born in Advance, MO. Send flowers to share your condolences and honor Vivian A's life. It was written by Star Beacon on March 19th, 2013 that Vivian A Rometti (Musgraves) passed away in Kingsville, Ohio. Ms. Rometti was 89 years old and was born in Advance, MO. Send flowers to share your condolences and honor Vivian A's life. It was reported by Reno Gazette-Journal on February 26th, 2013 that Jelettia Lucille "Letty" Green (Myers) died in Reno, Nevada. Ms. Green was 87 years old and was born in Advance, MO. Send flowers to express your sorrow and honor Jelettia Lucille "Letty"'s life. It was revealed on January 30th, 2013 that Gerald F Musgraves died in Port Charlotte, Florida. Musgraves was 78 years old and was born in Advance, MO. Send flowers to express your sympathy and honor Gerald F's life. It was reported on September 18th, 2012 that Shane A Lanning perished in Advance, Missouri. Lanning was 35 years old and was born in Streator, IL. Send flowers to express your sorrow and honor Shane A's life. It was revealed by Columbia Daily Tribune on November 15th, 2011 that Adam Joseph Griggs passed on in Advance, Missouri. Griggs was 31 years old. Send flowers to express your sympathy and honor Adam Joseph's life. The other group moved west and called their settlement Advance to show that they were "advancing." The old Lakeville died in 1889 when the post office closed closed, Toga never got off the ground, and Advance thrived. The townspeople wanted to relocate the town to take advantage of the railroad but couldn't decide on a site. Originally, Advance was called Lakeville (presumably because the region was covered in swamps and lakes) and was located a short distance east from the present location. H. By 1911, Advance was a thriving railroad town of 621 people with lumber and cotton as the major industries. That column shared some of the frustrations drivers encountered when they unwittingly happened upon the lengthy funeral procession for Missouri Highway Patrol Sgt ... by doing a better job of providing advance notice of these procession routes. funerals in Advance, MO 63730 on Yahoo! Local Get Ratings & Reviews on funerals with Photos, Maps, Driving Directions and more. Find a Funeral Home inMarble Hill, Missouri MO to provide the caring burial and ceremonial services your family deserves. We work with local florists and flower shops to offer same day delivery. You will find budget sympathy flowers in Advance here. Our funeral flowers are cheap in price but not in value.